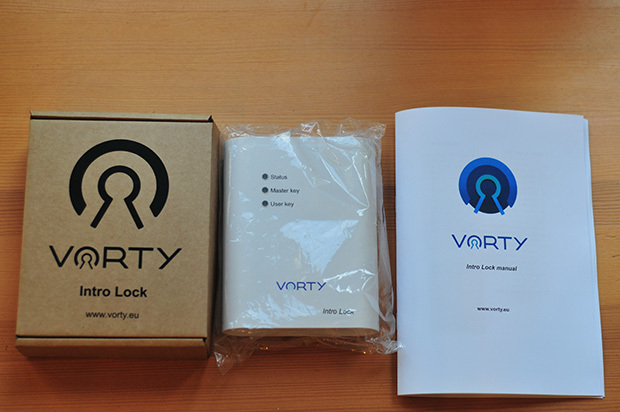 Vorty Net is a Bluetooth cloud based proximity reader / controller that allows or denies a selected smartphone to unlock the electric strike of any door, or any electromagnetic lock, automated garage door, motorised gate or barrier. It is easy to use, and the innovative set-up works as a cloud-based service. 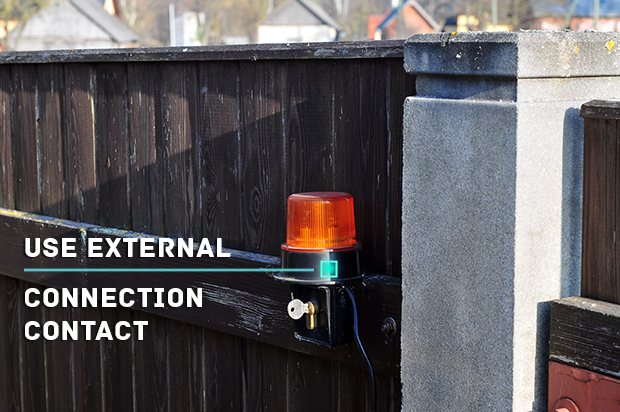 It can be easily installed as an external connection for automatic garage or gate controllers. Controller has an external Bluetooth antenna for increased range till 15 - 20 meters. 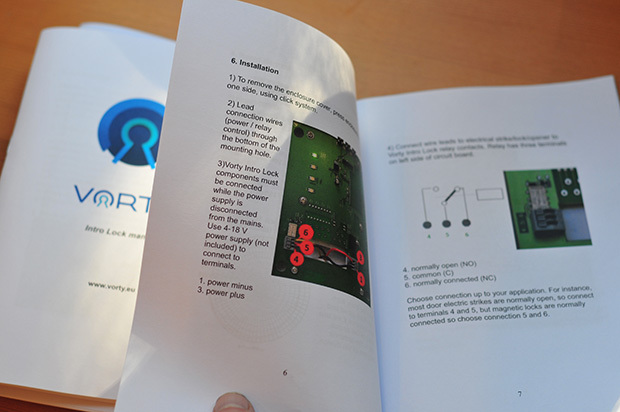 Connect the Vorty reader leads to a 12 V - 24 V supply which is used for gates / garage controller. The automation for a garage door or gates has an external connection for wall buttons, etc. 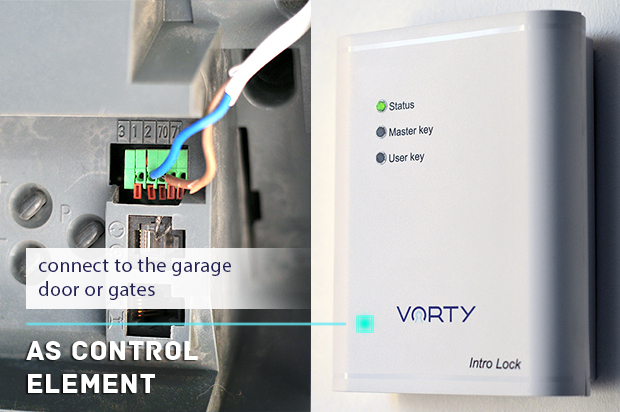 Find those contacts marked on the gates / garage automation controller or read the controller manual. 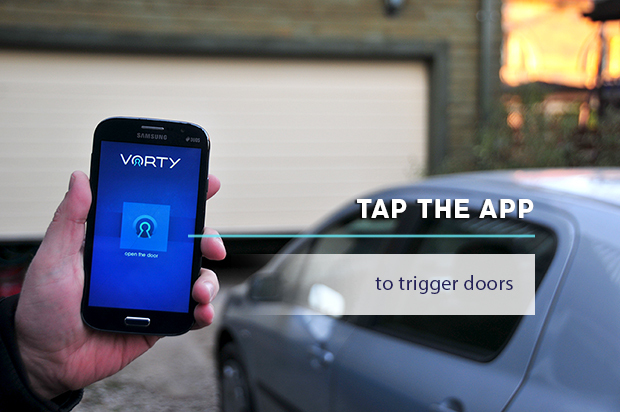 Connect the Vorty reader relay terminals to the garage door or gates as control elements.